Do you want to turn this course into an accreditation for SHBBMUP001 Apply Eyelash Extensions? 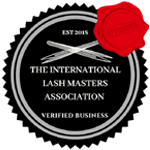 Ceecees Beauty and Training are pleased to offer you the opportunity to receive a nationally recognised Statement of Attainment in SHBBMUP001 Apply Eyelash Extension. This short course will be delivered by Carole Charles, owner and director of Ceecees Beauty and Training and registered trainer of the Australian Massage and Beauty Institute (AMBI) (RTO: 40909). This nationally accredited short course will take place across 2 full days on campus here in Melbourne. In this time, you will be required to complete lash applications, workbook activities, and practical and written assessments, both during and outside studio hours. You will also need to submit images of your work with corresponding evidence. If you are interested in advancing your learning and attaining an accreditation in SHBBMUP001 Apply Eyelash Extension, please give us a call on 0437 376 969 or email your enquiry to ceeceesbeautyandtraining@gmail.com. AMBI will issue you a nationally recognised Statement of Attainment for SHBBMUP001 Apply Eyelash Extension upon successful completion of this short course for an additional fee of $450.